Seventy-three different Doukhobor surnames appear on the manifest. I don’t believe that any of my husband’s ancestors were part of this May contingent. 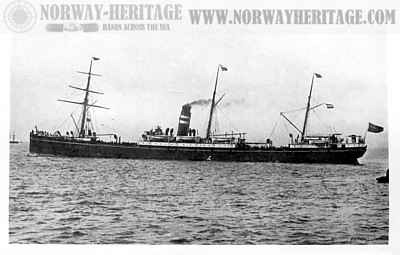 Image credit: Photo of S/S Lake Superior (built 1884), digital image, Norway – Heritage (http://www.norwayheritage.com : accessed 8 January 2014). 1. Steve Lapshinoff & Jonathan Kalmakoff, Doukhobor Ship Passenger Lists 1898-1928 (Crescent Valley: self-published, 2001), 24; citing National Archives of Canada, microfilm reel #C-4542. 2. Lapshinoff, Doukhobor Ship Passenger Lists 1898-1928, 24. 3. 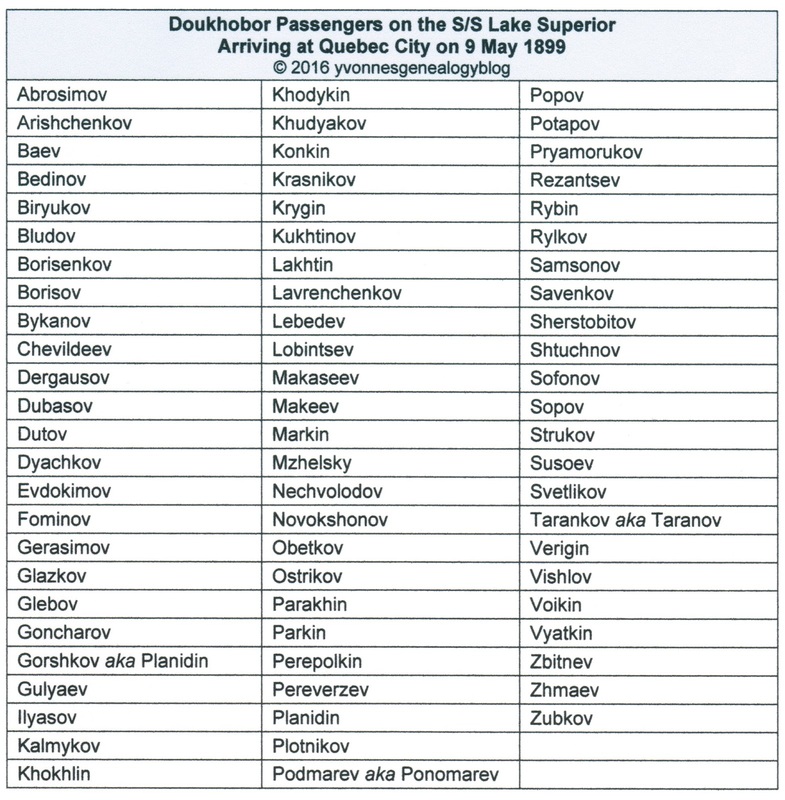 Lapshinoff, Doukhobor Ship Passenger Lists 1898-1928, 24-48.